Pack of cards and envelopes (12 of each) featuring a Super Hero and personalised with your child’s name. Available in red or blue. 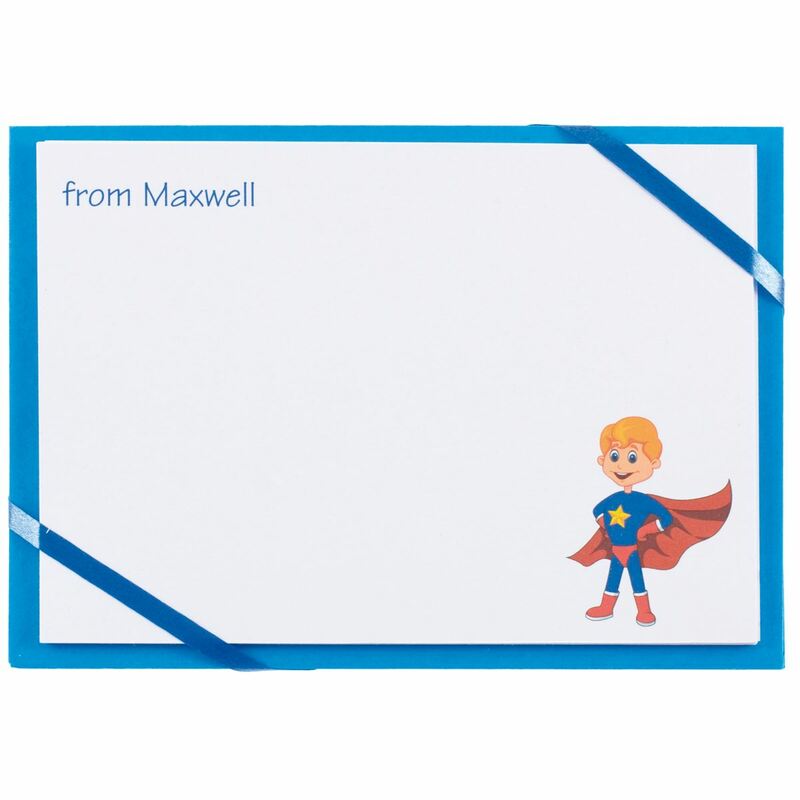 This pack of excellent quality named cards and envelopes (12 of each) features a colourful and detailed illustration of a Super Hero and each card is personalised with your child’s name to add a personal touch to invitations, thank you cards or letters. 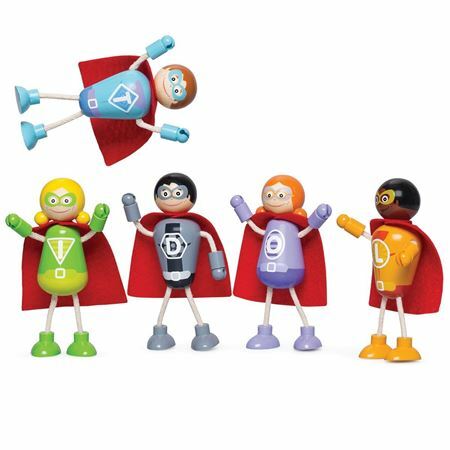 Set of 5 poseable wooden superhero characters with flowing capes! 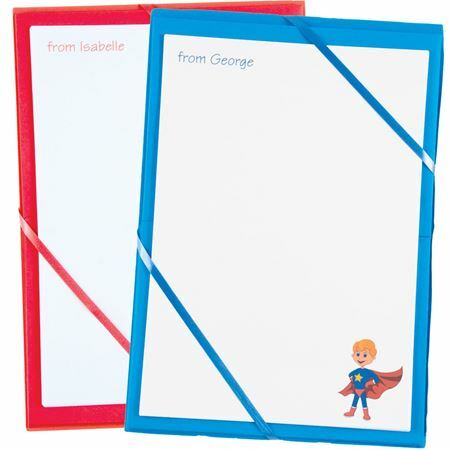 Quality named notepaper and envelopes (20 sheets and 20 envelopes) with Super Hero and personalised with your child’s name.Available in red or blue. 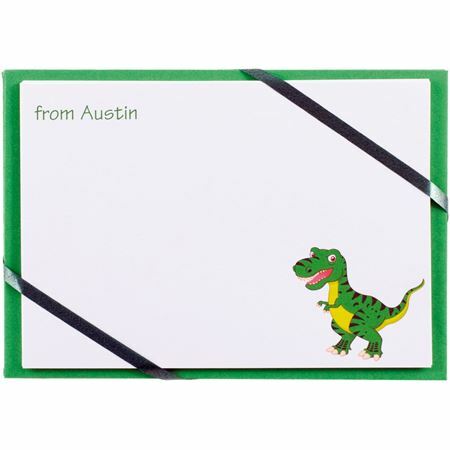 Pack of cards and envelopes (12 of each) featuring a dinosaur and personalised with your child’s name. Available in green. 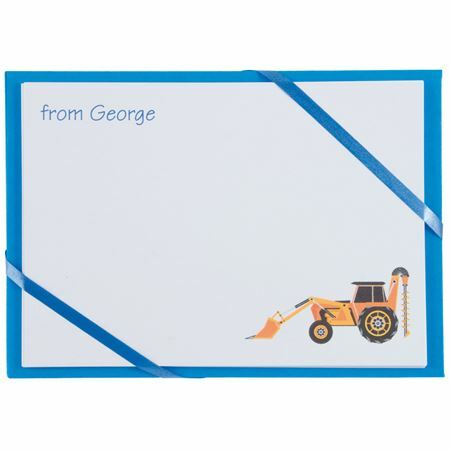 Pack of cards and envelopes (12 of each) featuring a digger and personalised with your child’s name. Available in blue. 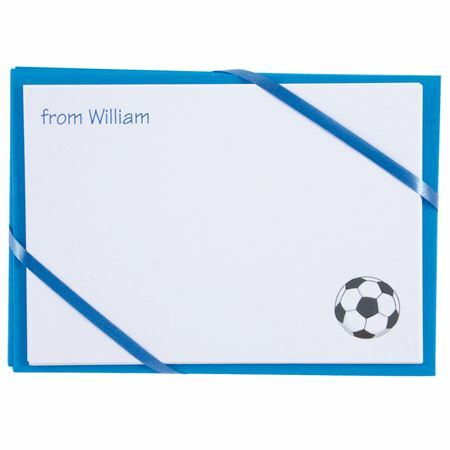 Pack of named cards and envelopes (12 of each) featuring a football and personalised with your child’s name, available in blue. 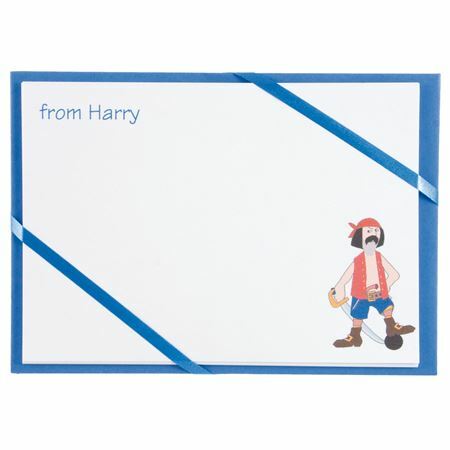 Pack of cards and envelopes (12 of each) featuring a pirate personalised with your child’s name available in blue.